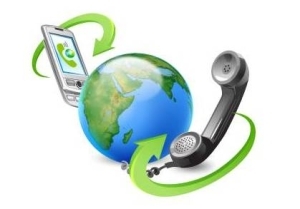 Supports thousands of phones across multiple locations worldwide! With a Newwall Communications cloud-based business phone system you just plug IP desk phones and PCs into your Internet connection. Then, install the Mobile App on your smartphones. 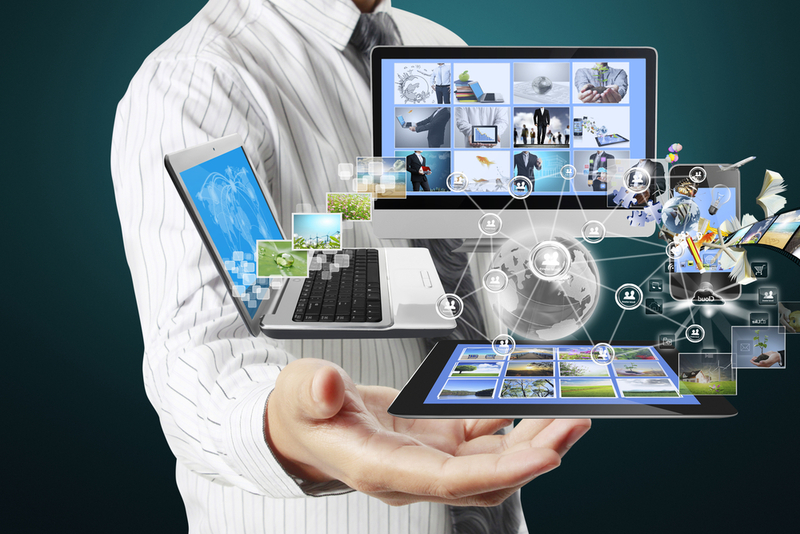 All these devices become part of an interlocked system that can now communicate with each other in the cloud platform for voice, fax, text, audio conferencing, and HD video meetings. It’s just that simple — for all your office locations and remote devices. Setup is quick, taking only minutes, not days. 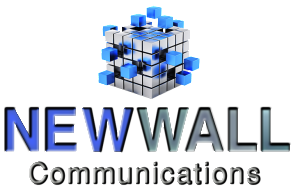 Be assured that Newwall Communications implementation specialists will be there to ensure the process goes smoothly for all your central and remote locations. You can manage your entire system from your desktop computer or any smart device…for all users across all office locations, because it is an integrated solution, all managed through the cloud. You have complete control of everything. Control functions use familiar, user-friendly Web interface — check boxes, dropdown menus, fill-in text fields. Most importantly, with our platform, everything can be pushed from your office system directly to your mobile phone so that it literally becomes your traveling communications system. Never miss a call wherever you are. And here’s the great part! It will cost you less than you are spending monthly now. We handle everything, including the Wi-fi and all the low voltage wiring. Our specialists are certified, affordable, efficient and effective. Newwall Communications is a premier low voltage electrical contractor in Florida, and we’ve been in practice for over 20 years. We boast hundreds of satisfied customers in the and can help with most any commercial or retail project you might have. 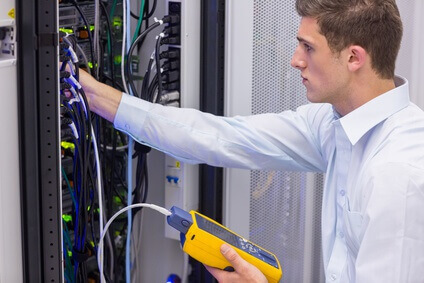 So, even if we don’t end up being your VoIP partner, we can provide high-quality, cost-effective designs and reliable installations for a new project or an existing facility that needs upgrading. 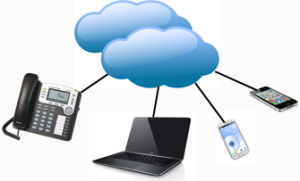 What is VoIP in the Cloud? 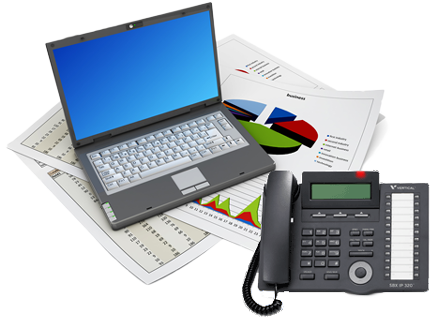 VoIP (Voice over IP) – So you understand a bit about the technology we use, let us explain VoIP. Is the fastest growing, cutting edge technology digital phone service. Basically, it's technology that uses the internet to link all your phones, computers, printers, fax machines, and any remote communications device together, no matter where they are. 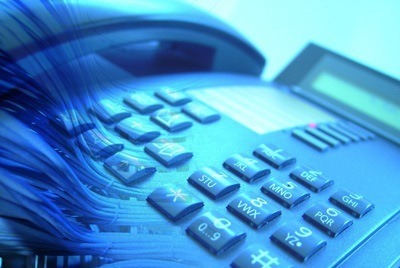 VoIP services are being used by more than 30 million people, and that number is growing fast. 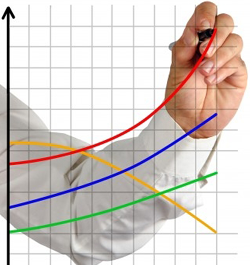 Since launching in 2004, Voice Over Platform VoIP sales have exploded, growing over 18% last year along. Over 90,000 companies have already switched over to a VoIP platform experiencing a savings over their existing phone system of 60%, or more. Everything in the Cloud - OK, so what's a "Cloud" anyway? 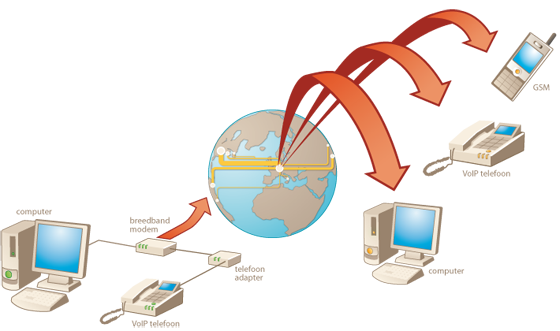 Basically, it's a secure central data storage and processing system that is located somewhere outside your facilities. Nothing matches the flexibility, scalability and accessibility of a cloud-based, Hosted PBX solution that lives in a cloud environment. This platform delivers security, reliability, clarity, and flexibility and allows you to tie your phones, mobile devices, and computers together in a single network, operating as one cohesive system, no matter where you or they are located in the world. Plus, with a cloud-based platform you have features not offered with any regular phone system. Most important, you have automatic, secure back-up for everything, automatically, all the time. We believe business communications doesn't need to be complicated or expensive. That’s why we built an enterprise-grade phone solution for small to mid-size businesses. All you need are the phones! 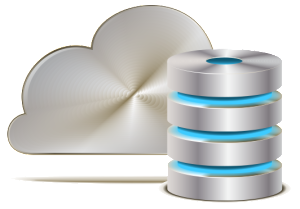 The system comes loaded with over 50 standard features including disaster backup and recovery. Plus, it has the unique ability to ‘share’ lines saving you up to 50% each month. If you are a business that needs up to 2,000 phones at one location, or across the country, we can sell you, or lease you, as many phones as you need now, and quickly add new phones as your business grows in the future. It's as easy as plugging in a cord. 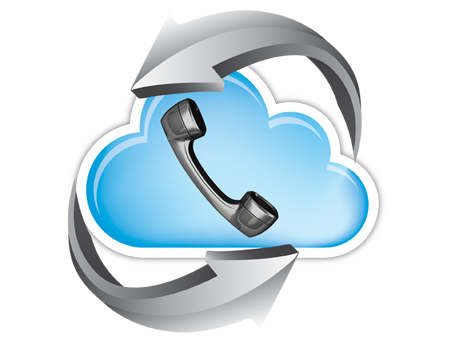 The features available with a cloud-based system are nearly limitless....features you could never expect with any standard phone system. 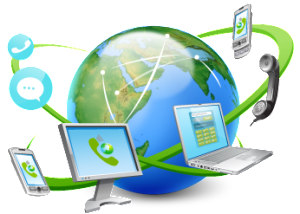 Imagine operating your business from anywhere in the world with conference calling, personal assistant, free international calling, automatic backup with disaster recovery, tie in with any online business system, and custom integration with calendars, call routing, and integrated collaboration. Everything can even be pushed to your mobile phone (or everyone's mobile phones) so you never miss a call. The system knows where you are all the time and knows your schedule to remind you of important meetings, calls, etc. Hosted PBX solution that lives in a cloud environment; one where the available computing resources adjust to accommodate your demand in real time. The Cloud ties phones, mobile devices, and computers together in a single network, operating as one cohesive system, no matter where they are located in the world. With our platform, everything can be pushed from your office system directly to your mobile phone so that it literally becomes your traveling VoIP system. Never miss a call wherever you are. 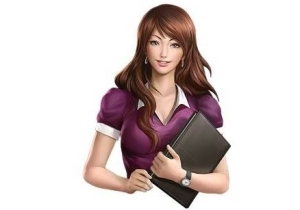 The Virtual Attendant is a central part of the powerful Newwall Communication system. This is the part of the system that initially answers the incoming calls, eliminating the need for a full-time receptionist. Floods, fires, power outages, man-made disasters…any number of things can slow or shut down your communications systems. When your phones go down, so does your business. Because our system is cloud-based, everything is automatically backed up so your business is protected, along with the integrity of your networks….all automatically. With Newwall Communications systems, you start out with only what you need and then add users, or make system changes, on the fly, from anywhere. And, you don’t have to be a telecom expert to do it yourself. 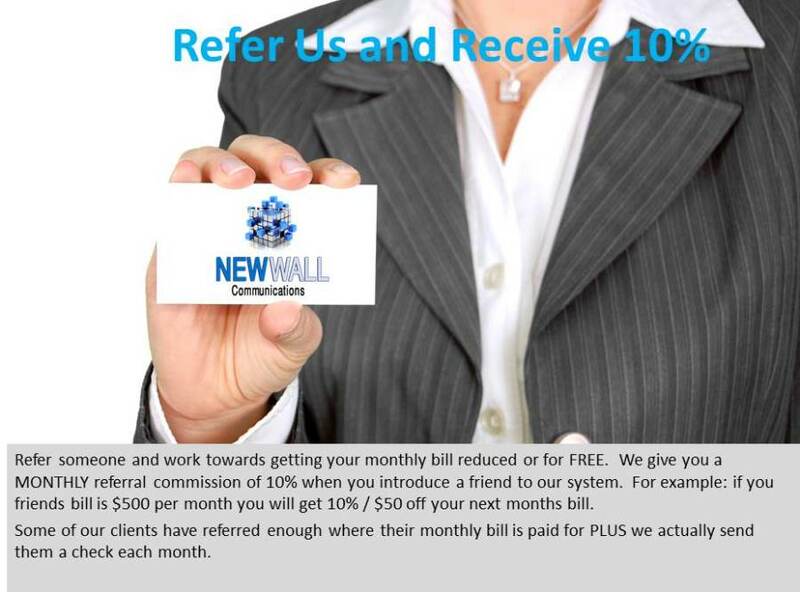 With Newwall Communications, you pay only as you grow. One of the great advantages of an IP PBX system has over conventional phone systems is it provides a method of cheap yet extensive long distance communication. We are fully dedicated to customers. When contract with us, there is no need to worry about customer support. With over 50,000 users and counting, you cannot go wrong with Newwall. Check out what just some of our users are saying about our company and services! 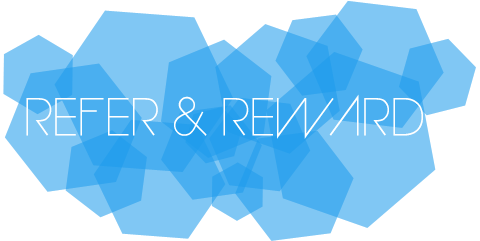 Join The 100s of Satisfied Newwall Clients! I'M SOLD, CONTACT ME NOW!